The event will include presentations by two UC Santa Cruz professors--astrophysicist Enrico Ramirez-Ruiz (Turning Stars into Gold) and film archivist Rick Prelinger (Inconvenient Materialities), plus UCSC doctoral candidate and artist Elaine Gan (Making Time Appear), and marine biologist Nicole Crane from Cabrillo College (One People One Reef: Combining Culture, Context and Science). To high-energy astrophysicists, the calm beauty of the night sky is the world’s grandest illusion. It contains some of the wildest, most elusive odd creatures in the Universe. The phenomena are unique in their extreme physical conditions, not faced by astronomers before, and understanding them requires both imagination and physical intuition. 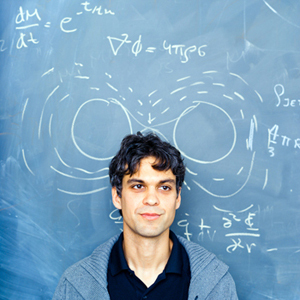 As a professor of astronomy and astrophysics, Enrico Ramirez-Ruiz is developing the conceptual framework needed to understand the violent and erratic nature of the Universe. Elements such as carbon, oxygen, iron, and gold are forged either in the nuclear furnaces of stars or in the blaze of energy when stars explode as supernovae. Supernova explosions spew the newly forged elements into space, where they drift in great clouds of gas and dust that eventually collapse to form new stars and planets. Although the general picture of element formation is well understood, many questions remain about the processes that form precious elements such as platinum and gold. The astrophysical details, in particular, are not fully understood. Ramirez-Ruiz will outline some of the main issues in his talk. "You and the world around you are a temporary arrangement of matter that took many billions of years to assemble," said Ramirez-Ruiz. "Imagine if you could deconstruct it all and trace each element’s journey. What did they experience as they traveled through space? Many trillions of atoms in your body were forged in the incandescent cores of stars and violent stellar explosions. Such element generation has occurred since the birth of the first stars in the Galaxy, and without it life on Earth would not be possible." 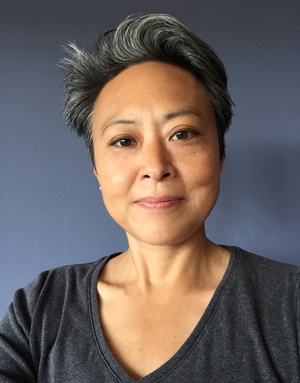 Elaine Gan is a doctoral candidate in the Film & Digital Media Department at UC Santa Cruz and also serves as art director of Aarhus University Research on the Anthropocene (AURA) in Denmark. She has been a fellow of the New York Foundation for the Arts and a graduate fellow of the Science and Justice Center at UCSC. “My talk will consider an unintended race that emerges when miracle rice, nitrogen, and brown planthoppers meet in Southeast Asian rice fields in the 1960s,” said Gan. “It offers an arts/science approach to articulating ecological crises and accelerating contamination." Gan’s recent interdisciplinary projects include co-curating an exhibition titled DUMP! Multispecies Making and Unmaking at Kunsthal Aarhus, Denmark (2015); running a seminar series on multispecies technologies in the Anthropocene at Haus der Kulturen der Welt/HKW Berlin (2016); and co-editing an anthology, Arts of Living on a Damaged Planet: Stories from the Anthropocene (forthcoming 2016). 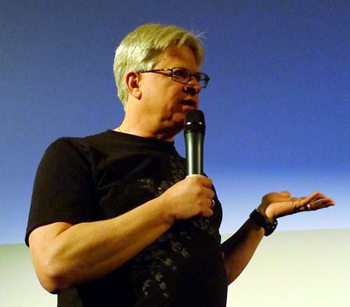 An associate professor of film and digital media at UC Santa Cruz, Rick Prelinger is an archivist, writer, and filmmaker. His collection of 60,000 "ephemeral" films (advertising, educational, industrial, and amateur) was acquired by the Library of Congress in 2002. He has partnered with Internet Archive to make a subset of the Prelinger Collection (now 6,500 films) available online for free viewing, downloading and reuse. Prelinger’s Lost Landscapes participatory urban history projects have been featured in San Francisco, Detroit, Oakland, and Los Angeles. He is a board member of Internet Archive and frequently writes and speaks on the future of archives and issues relating to archival access and regeneration. In 2004, he co-founded the Prelinger Library with Megan Shaw Prelinger--an independent research library located in San Francisco’s South-of-Market neighborhood. The library is primarily a collection of 19th and 20th century historical ephemera, periodicals, maps, and books, most published in the United States. Nicole Crane is a professor of biology at Cabrillo College and a senior conservation scientist at the Oceanic Society. 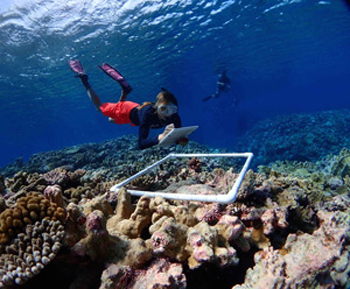 Her research focuses on long term monitoring, with an emphasis in the ecology of coral and temperate reefs. Crane’s work is aimed at conservation and the protection of marine resources, and helping others to achieve that. Crane's field work includes temperate and tropical reef monitoring, fish biology, stream ecology, plant communities, and marine mammal ecology. She has been working with communities helping to set up monitoring programs, looking at habitat and fish populations on reefs, and leading natural history expeditions for more than two decades with the Oceanic Society. Admission to the May 11 LASER talk is free. The presentations begin at 7 p.m. in the Digital Arts Research Center building (DARC--Room 108). Doors open at 6:30 with refreshments provided. The Institute of the Arts and Sciences is one of the priority initiatives of UC Santa Cruz’s comprehensive fundraising campaign.